Fly Digital Print is a Trade Only wholesale large format printing company specializing in wholesale printing for resellers including large format prints and displays, wholesale banners, premium quality grand format printing and so much more! We offer: trade printing, large format photo printing, wholesale large format printing, wide format printing, large format canvas printing, wholesale digital printing vinyl, large digital, large format printing pieces, wholesale wide format printing perfect for wall wraps to floor graphics, and so much more! Our company will save you the time, money and hassle of printing products in house so you can focus on growing your business and adding more money to your bottom line. When you order online from http://www.flydigitialprint.com you can have confidence that you're getting awesome value, excellent work and best of all fast service since our product ships out in as little as 2 days. Unlike other Large Format printing Services we will save the time, money and hassle with all of your printing needs when you choose Fly Digital Print today. Our company is a trusted partner for print businesses world wide, you can count on us for quality work every time especially with our no banding lines guarantee since we only use original manufactuers inks and name brand products. If the trade printing service that you need is not on our website, please request a custom quote. We also offer personalized service and excellent support for all of your printing needs. Did you know that Fly Digital Print has a no banding lines guarantee? This means that when you order a printed product from us you can have confidence that it will be free from banding lines and errors that you may have received when you ordered from other printers in the past. We only use original manufactuers inks/products and can promise you the highest quality work every time. At Fly Digital Print we take pride in saving our customers time and money because they can order the printed products or supplies online from our website rather than having to produce them in house. It doesn't matter if you are having banners printed for your next tradeshow, or custom printed window shades, the quality of the print is a direct representation of your business and at Fly Digital Print you can count on an excellent product that represents your brand image well plus great service anytime you contact us with a question or you're in need of service. Will Call: Hours are the same as the Business Hours. We strive to offer the highest level of professional service in the Print Trade Industry. 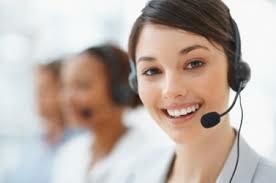 We always answer your phone calls during business hours. No automated voice attendant and no leaving voice mails. You can always reach us during normal business hours. We give you the option to order online, in person or email. You can visit us anytime. We have no secrets, come see our operation to learn more about how we will be an asset for your business. We use branded media and original manufactures inks. We believe that quality prints begin with quality materials. We are so confident in quality that we give you a NO BANDING LINES Guarantee. We regularly maintain and replace print heads so that your prints will always be free of any Banding Lines. Because we use latex inks for rolled media and UV inks for rigid media, you will never have to smell solvent when you receive your order. We work hard to serve our clients because, when you look good, we look good.